Water seems to be a common theme in South Georgia this week. With February rainfall totals breaking records which have stood in some areas since the 1870s, nearly every river in the region has swollen far beyond its banks. 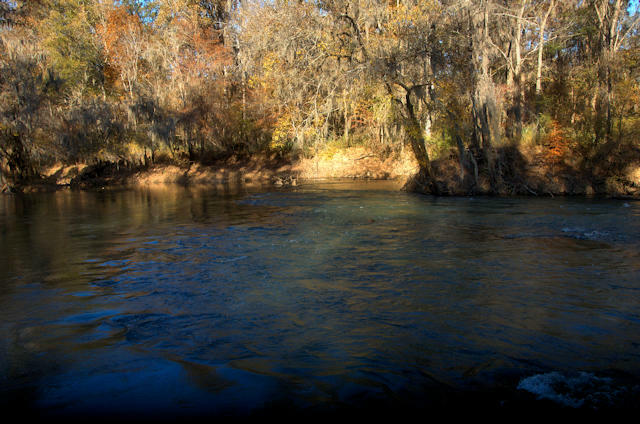 This post illustrates Little River, an oxbow of the Ocmulgee near Poor Robin Spring in Wilcox County. The stream’s current here is amazingly fast, more like a stream in the Piedmont than in the Coastal Plain. Thanks to Bruce Greene for giving me access to the property. The names of Little River and Poor Robin are found repeatedly across Georgia. There are three Little Rivers along the Savannah River (one is in SC). There’s another Little River on the Oconee River, also. Poor Robin was the name of a chief for an Indian band living on Savannah River. Poor Robin Landing is found in modern-day Screven County, downstream from where Brier Creek joins the river. That band of Indians moved westward across Georgia and so the name of Poor Robin appears in three or perhaps four locales across the state. I learned about oxbows as a child in Jeff Davis County. 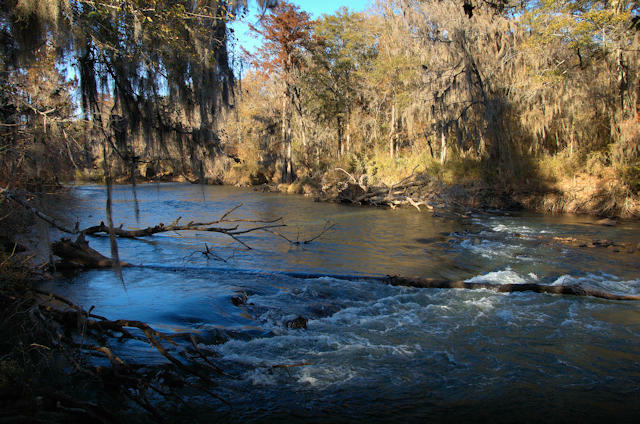 Like other rivers, the Ocmulgee is always changing course. Aerial views of the river show evidence of such meandering. I grew up fishing in an old oxbow that we called “The Old River.” It provided many a fish to our family and others. These bodies of water are left behind when the main river channel decides that it will crash through the woods forming a new river bed, leaving the old bed behind. In the winter and spring of the year, the rains cause the river to flood and water is often pushed back into the old bed. These oxbows provide great habitat for spawning fish such as the famed Redbreast Bream and the bold Warmouth. As the water subsides, the oxbow returns to its slack water condition and is home to a myriad of turtles, frogs, snakes, and other fish like the Mud, Jack, Redfin Pike, and the Stumpknocker. It was one of these oxbows, Montgomery Lake, that produced the world record Large Mouth Bass on the Telfair side of the Ocmulgee back in the 1930s. Love the natural beauty of this area, captured through your lens, Brian; how inviting it appears, though the river is swollen and rushing. The Bruce Green that is associated with Dept. of Comm. Affairs? 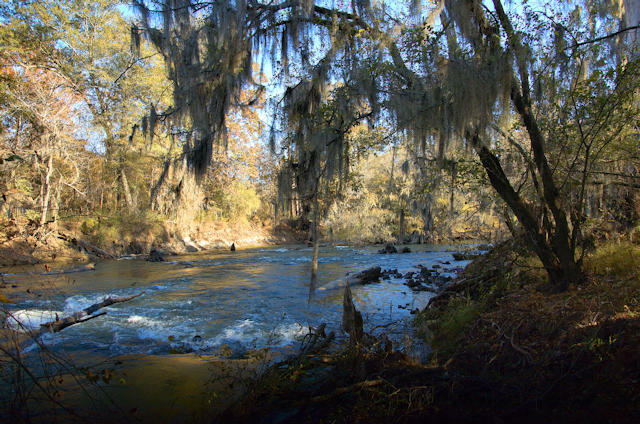 Beautiful pictures of the Ocmulgee. 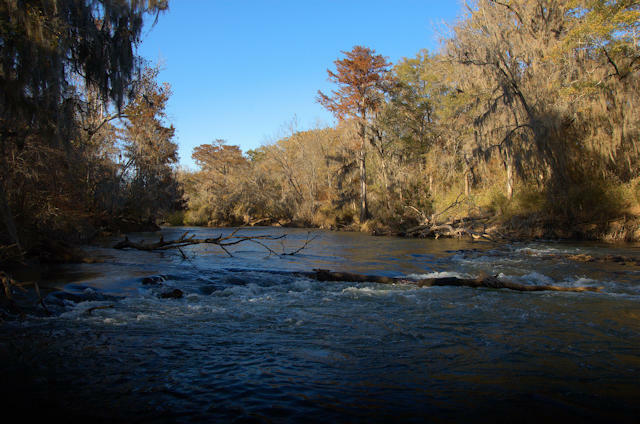 I grew up in the Abbeville area and have been to the Ocumlgee River many times. It’s nice to see it in these great pictures!